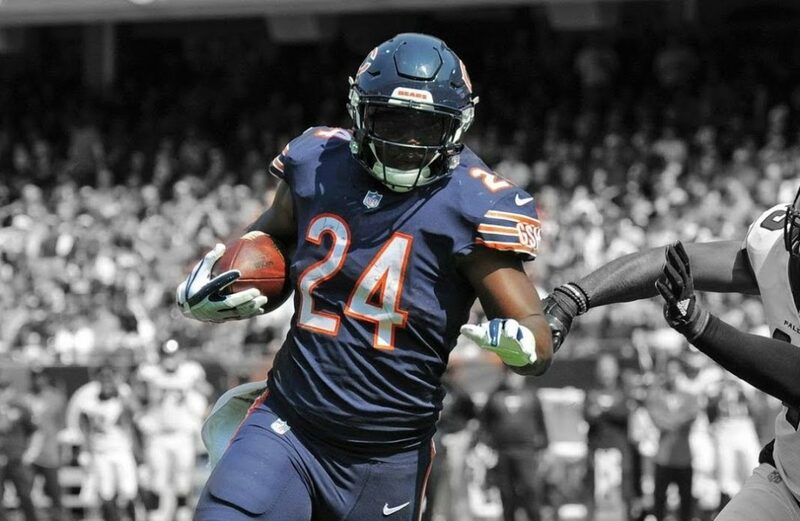 One of the big question marks of 2019 will be whether the Chicago Bears trade Jordan Howard. The setup is relatively straightforward. He’s entering the last year of his rookie contract. So they have three choices at hand. They extend him on a new deal. They let him play the year out and become a free agent or they try to trade him to another team. Given Howard has rushed for over 3,000 yards his first three years, why wouldn’t the team extend him? A couple of reasons. First, the practical. The Bears financial situation isn’t totally murky just yet but it will be in the next year or two. 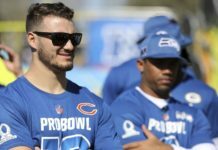 That’s when players like Mitch Trubisky and Eddie Jackson will have need of new deals as well. GM Ryan Pace knows he must be careful with how much money he spends now in order to have it later on. That means making difficult cost-cutting moves like no re-signing Howard. Running backs are generally easier to replace in the NFL than most other positions. Now second, the schematic. 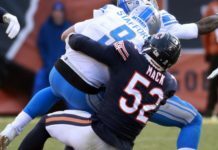 Though Howard had decent showings in 2018, it was clear he didn’t function at full capacity in the offensive system under head coach Matt Nagy. 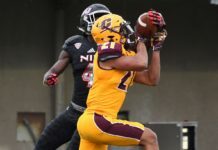 His lack of explosiveness and limited pass-catching ability both showed up in a number of games. 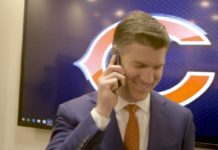 Nagy, who didn’t draft him, may have a desire to go in a different direction. 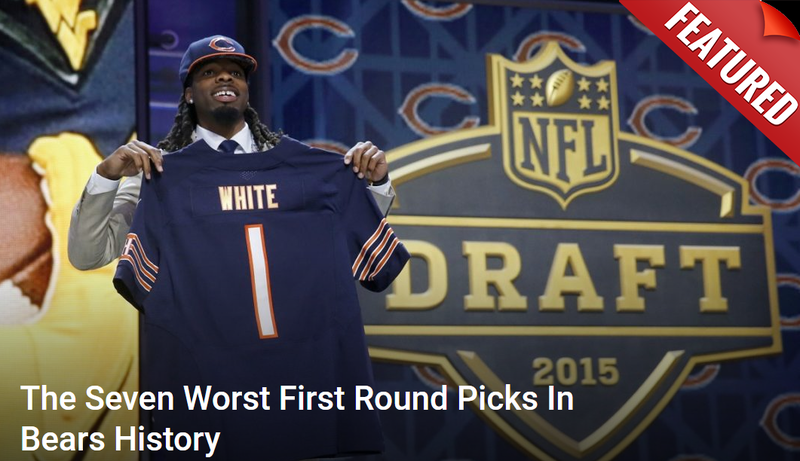 Obviously, the Bears wouldn’t want to let him go for nothing. That’s why it is widely believed they may try to trade him this offseason. 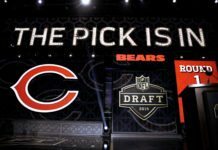 If Chicago Bears trade Jordan Howard, where will it be? In order to figure out where the Bears may end up sending Howard, it comes down to two factors: fit and money. Which teams around the league would have use for a talent like him and do they have the money to offer him an extension? One thing is for sure. The Jets will be in a mad rush to start surrounding young quarterback Sam Darnold with as much talent as possible this offseason. They have a boatload of cash to spend and one can easily say Elijah McGuire and Trenton Cannon aren’t exactly the feature backs needed to balance that new offense Adam Gase will try to install. Given Jets GM Mike Macaggnan has done business with Ryan Pace before, it’s not hard to see these two teams working out a deal. Especially since the Jets have three picks in the 3rd and 4th rounds this April. Sean McDermott is a head coach that likes to run his team through defense. That demands a strong running game to help control the clock and keep them fresh. 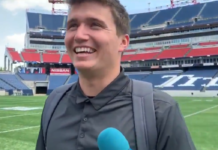 Not to mention they have a young QB in Josh Allen who isn’t ready to carry things himself. LeSean McCoy turns 31-years old in July. His best days are behind him and Chris Ivory has never been anything more than a solid rotational back. Like the Jets, the Bills have three picks in the 3rd and 4th rounds of the draft. Given the vast amount of money on top of that, they could easily afford a deal for Howard. Jon Gruden has gotten by thus far on older, cheaper backs for his offense with limited success. Marshawn Lynch is out of gas and Doug Martin just turned 30-years old. They have no young options worth mentioning at this point. Howard is 24-years old and Gruden is no stranger to using stronger backs like him. Ask Mike Alstott. Given they already have three 1st round picks this upcoming draft, it’s not hard to believe they’d willingly part with a 3rd or 4th rounder in order to secure a former Pro Bowler who can be a strong balance to the new offense they’re building. The promotion of Greg Roman to offensive coordinator sent a loud and clear message out of Baltimore. They are going to be a run-first team, fully utilizing the legs of Lamar Jackson as an extension of that. In order for it to work, they’ll need horses in the backfield. Now unlike the other teams on the list, one could argue the Ravens aren’t hurting for backs. Gus Edwards, Alex Collins, and Kenneth Dixon made for an effective three-headed attack. However, one could argue none of them can lead a sustained, relentless four-quarter barrage like Howard. He’s proven that many times. The primary reason Baltimore may jump at this trade is they will likely end up with an extra 4th round compensatory pick.